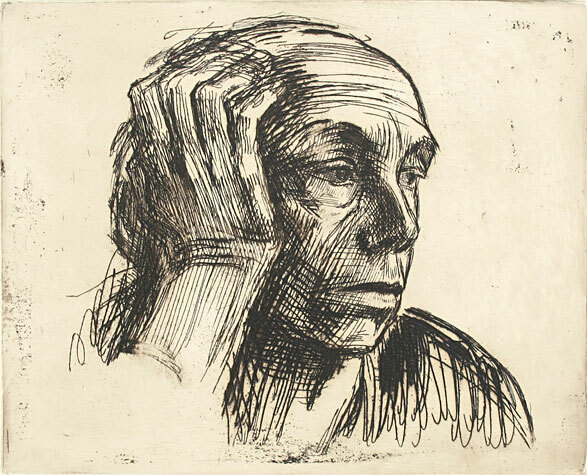 Avigdor Arikha (1929-2010) was a painter, printmaker and art historian, born in Romania to German parents. After losing his father in a concentration camp, Arikha took refuge in Israel after the war, eventually moving to Paris where he lived the remainder of his life. 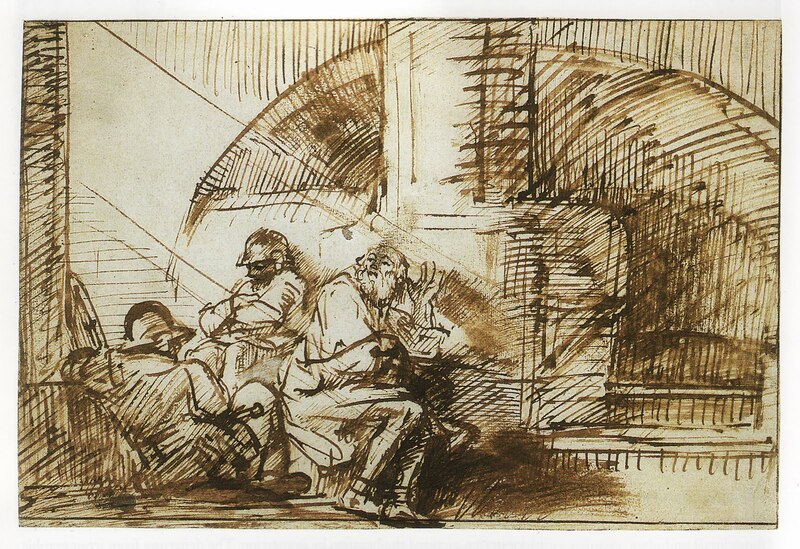 In the 1960s Arikha visited an exhibition of Caravaggio (1571-1610), the painter whose brutally honest realism and dramatic use of light and shadow, began to put an end to the period in art history known as Mannerism that followed the Renaissance. For Arikha, the exhibition and its narrative of the history of Caravaggio’s time was an epiphany that led him to view his own time, the period dominated by Pop Art and the beginnings of what is now called “Post-Modernism,” as another incestuous Mannerist period. 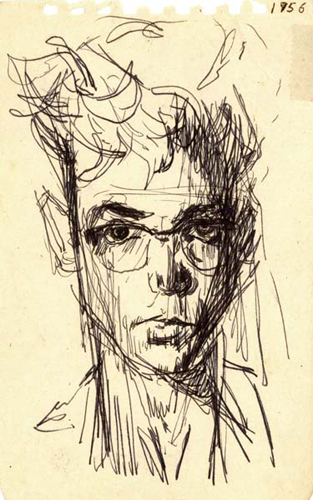 His solution was to abandon the abstract paintings that he was doing and to just draw directly from nature and always in one sitting. For eight years he did nothing but draw. Working with Sumi ink and brush was a favorite material. Later he picked up paints again but his subject matter was transformed. Like Giorgio Morandi, another artist who turned his back on the dominant art form of his day, Surrealism, and returned to a direct study of nature, Arikha’s work has much to teach us about attitudes and motivations for art making. 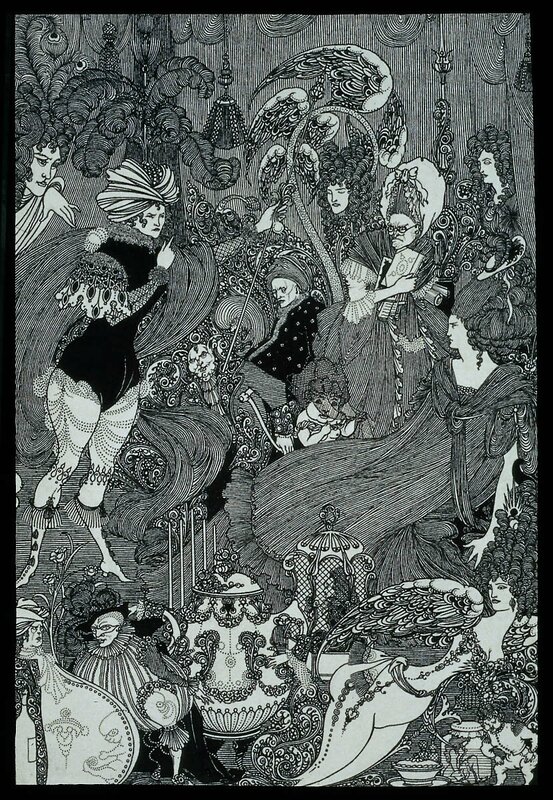 Arikha demonstrates what art can become when it stops striving for self-importance or cleverness; when it ceases to be made as an appeal to the “gatekeepers” of the so-called “Art World” and turns its eye and its hand instead to the private, and the personal. Marlborough Gallery will be showing work from Arikha’s estate this month in New York. 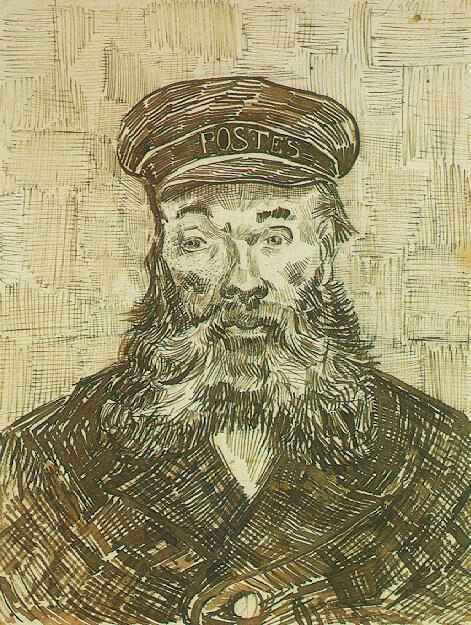 Many of the pieces were in his private collection. You can view work from the show at the Marlborough website, and in this special album, below. 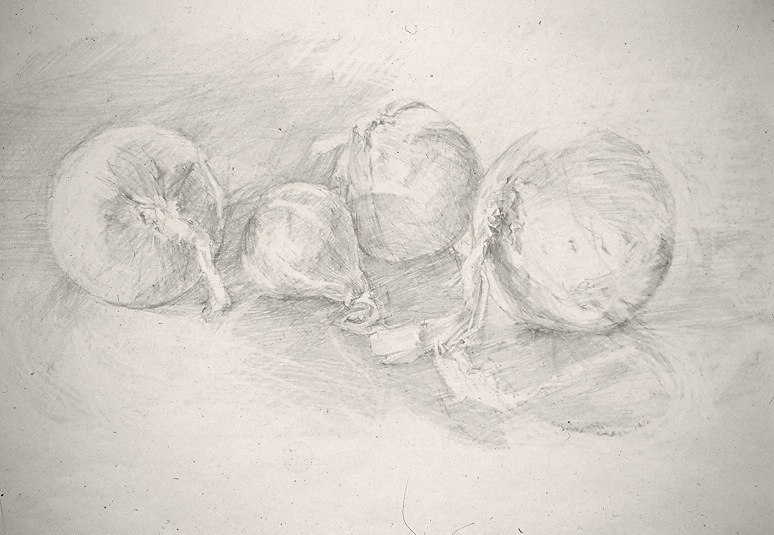 Staunton, VA artist, Virginia Deane, employs the sharpened pencil in this drawing as if it were a pen & ink drawing, laying down distinct linear hatch marks to define tonal changes across the globular forms of the onions. Countering the dark lines are white hatchings created by the eraser. 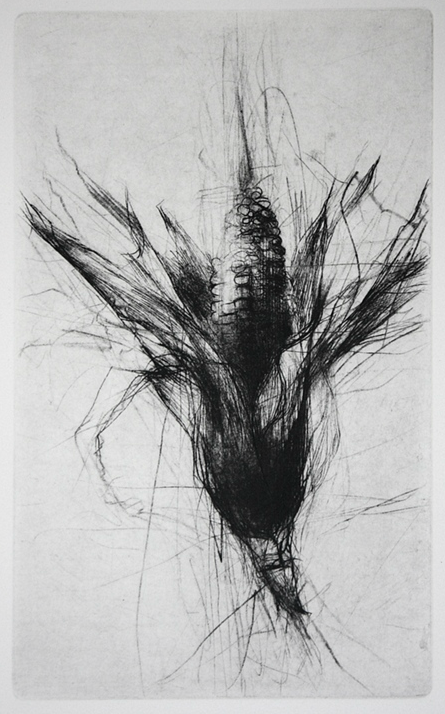 The composition builds on the repeated circle of the onions while exploring the subtle variation of the central axis of each, as well as scale contrasts between the different forms, the irregularities of their stems, and the play of cast shadows defining the ground plane. 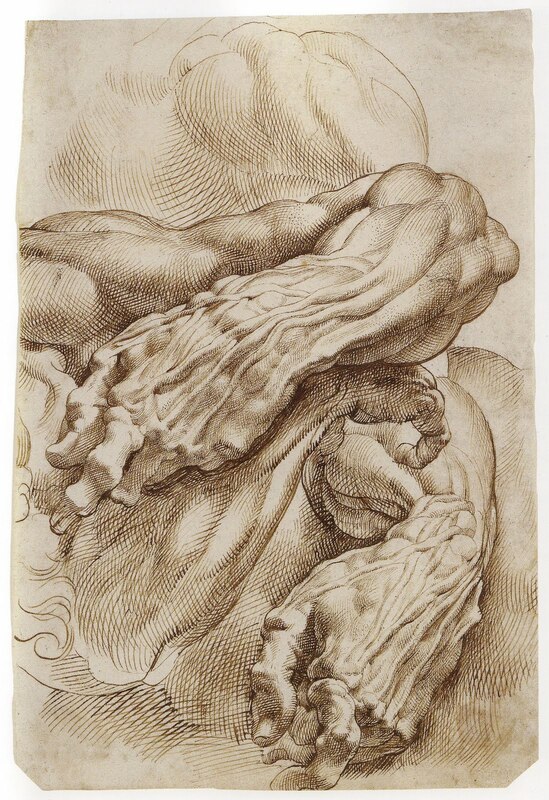 Michelangelo uses contour hatch-modeling to emphasize the tactile three-dimensional volumes of the figure. The curved lines reveal the surface terrain like the cross-sections of a contour map, or like the toothed tracks left in stone by the sculptor’s chisel. 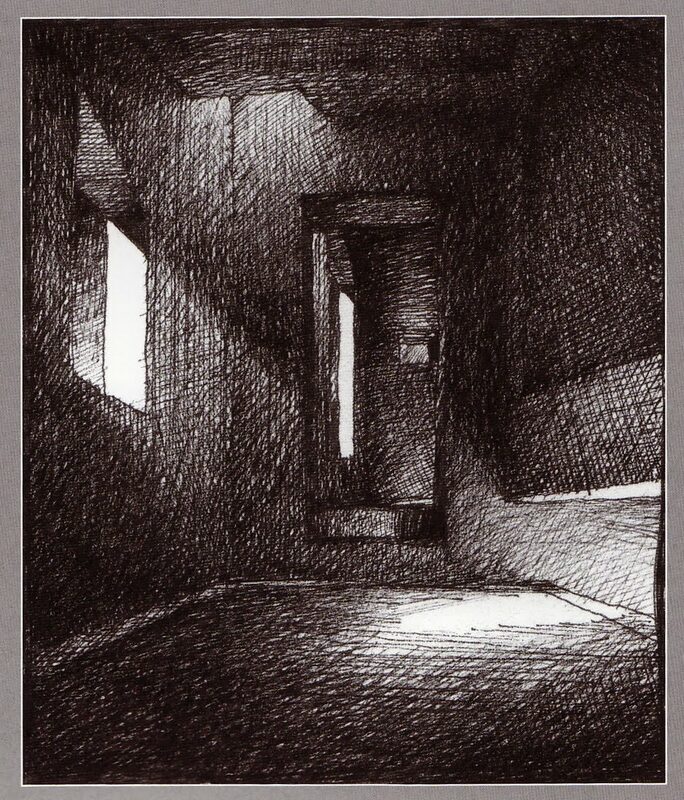 Gradients of dark to light appear in the drawing but they ultimately serve tactile, not optical ends. Transient effects of light and shadow are subordinated to the sense of touch and what it confirms about the volumetric solidity of the form. 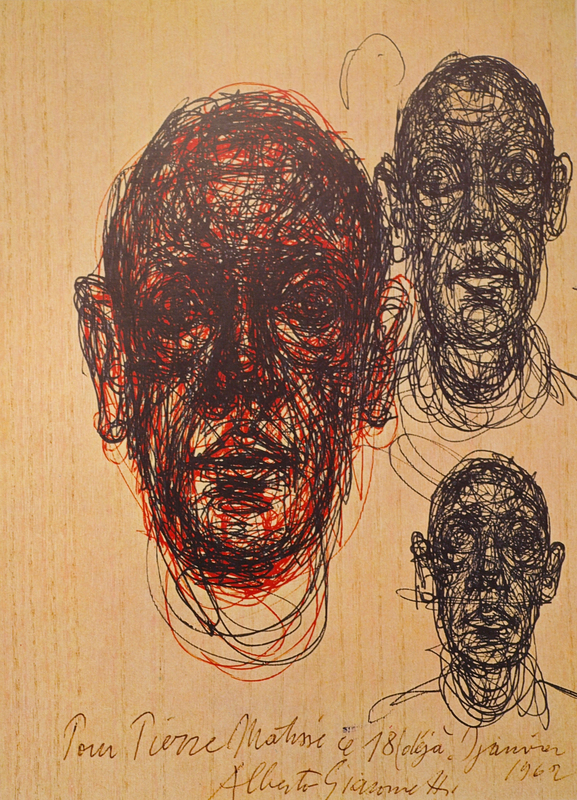 Giacometti’s drawing uses line like the wire armature of his sculptures to build the forms from inside to outside. 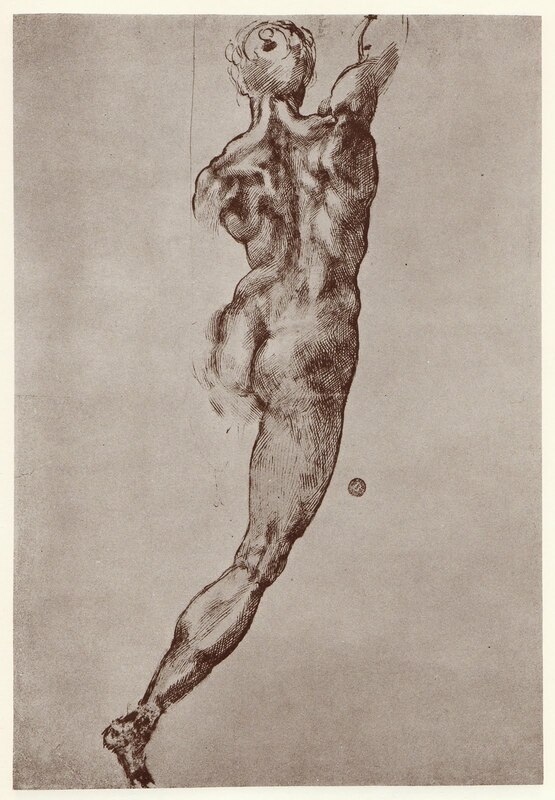 Within the urgent, fast-moving linear vortices of the drawings, traces of the artist’s astute analysis of positions, angles, and axes of major and minor forms can be seen. 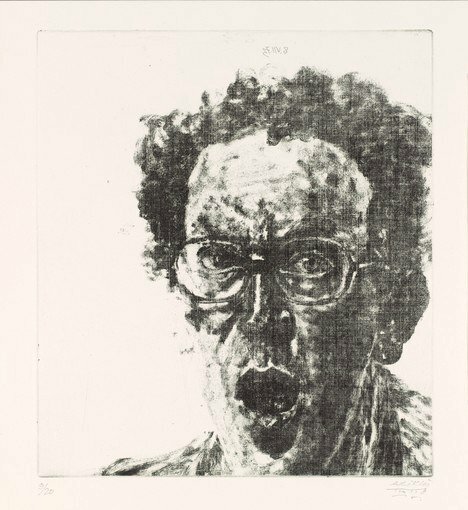 In this drypoint print, Jake Muirhead, like Giacometti, draws with a vigorous searching line but pushes the contrasts of line weight by varying the pressure of the hand. The direction of the lines mimics the natural striations of the corn leaves, building a powerful three-dimensional expression through contrasts of dark to light. 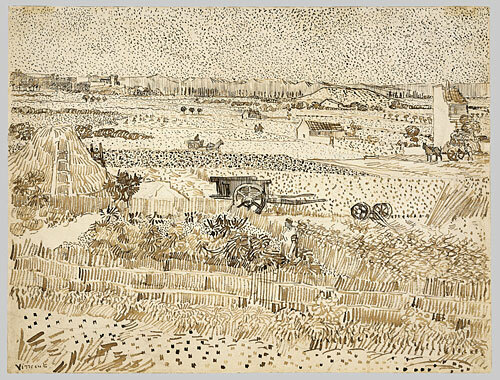 In this walnut ink drawing by Vincent Van Gogh large, coarse lines and intervals at the bottom of the page yield gradually to finer marks and stipples at the top, combining with scale changes, overlaps, and perspectival angles in the fields to set up a simple, yet powerful, spatial movement from foreground to background. 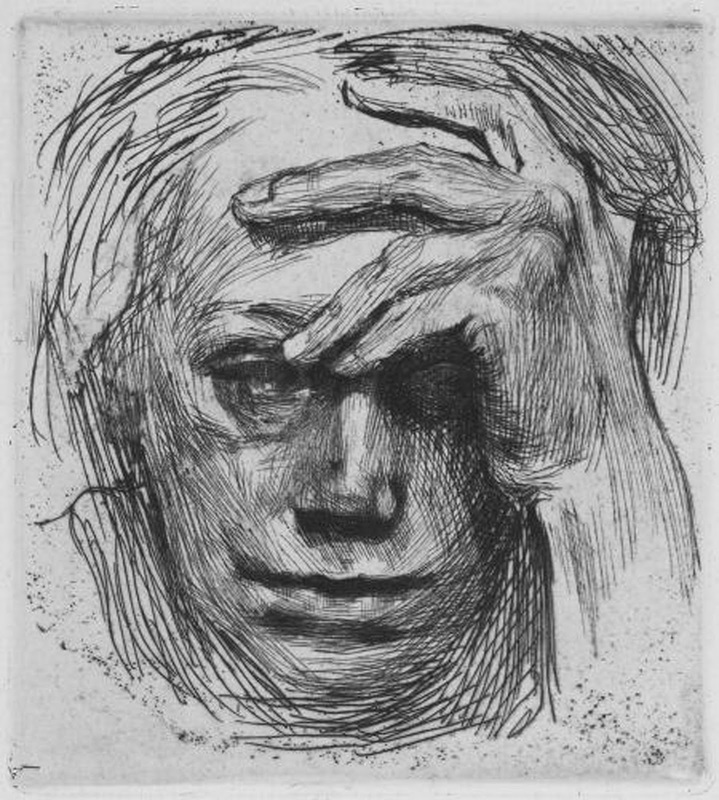 Both Kathe Kollwitz, above, and Rembrandt, below, use contour hatching in these self-portraits to explore both tactile, planar surfaces and optical effects of directed light and cast shadow. 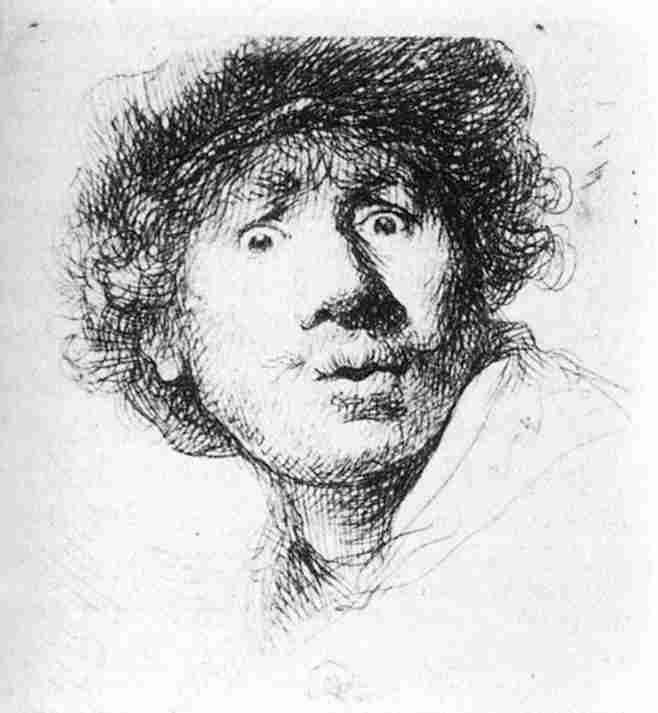 Rembrandt, by observing the loss of tonal contrast in places such as the eyes and the pursed lips, and the reflected light on the neck and jaw, conveys a powerful sense of luminosity. 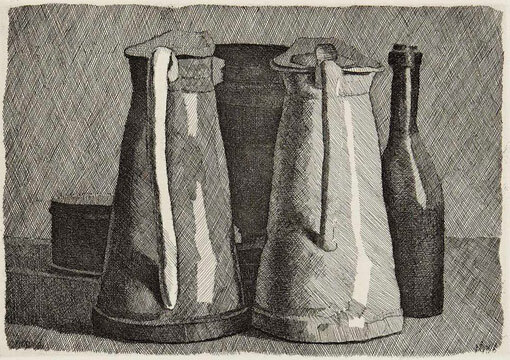 Giorgio Morandi develops a rich tonal scale by a methodical layering of regularly spaced straight lines of unchanging width. 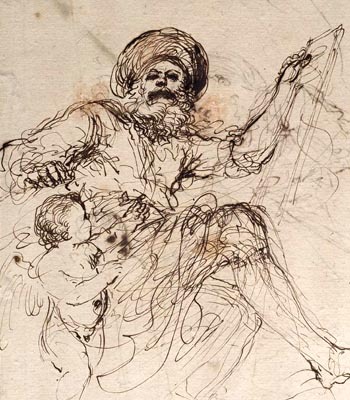 Reduced to just an outline, the element of line reinforces the essential flatness of the drawing page. 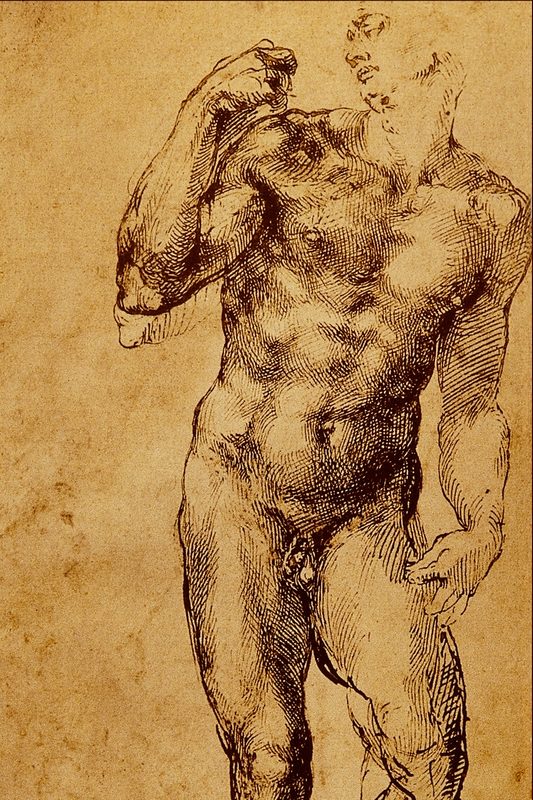 When outline yields to and admits the phenomenon of form overlapping form, the modeling of the third dimension begins. An extensive spatial vocabulary exists using nothing more than this simple element.